Happy Friday, friends! I have a fun little something to share with you today. It's easy, silly, and the kind of project everyone can handle (isn't that the best!). I kind of have a thing for chalkboards. The chalkboard wall in our kitchen is one of my favorite spots in the world (I'll have to show it to you some time). Here's a charming way to add whimsy to your notes...and you can make as many chalk mistakes as you want. Just erase! And if you have kiddos around, let them join in the fun, too. See how to make it happen! The thicker the paper weight, the better. If you're hoping for a permanent fix to your images, spray gently with aerosol hairspray. 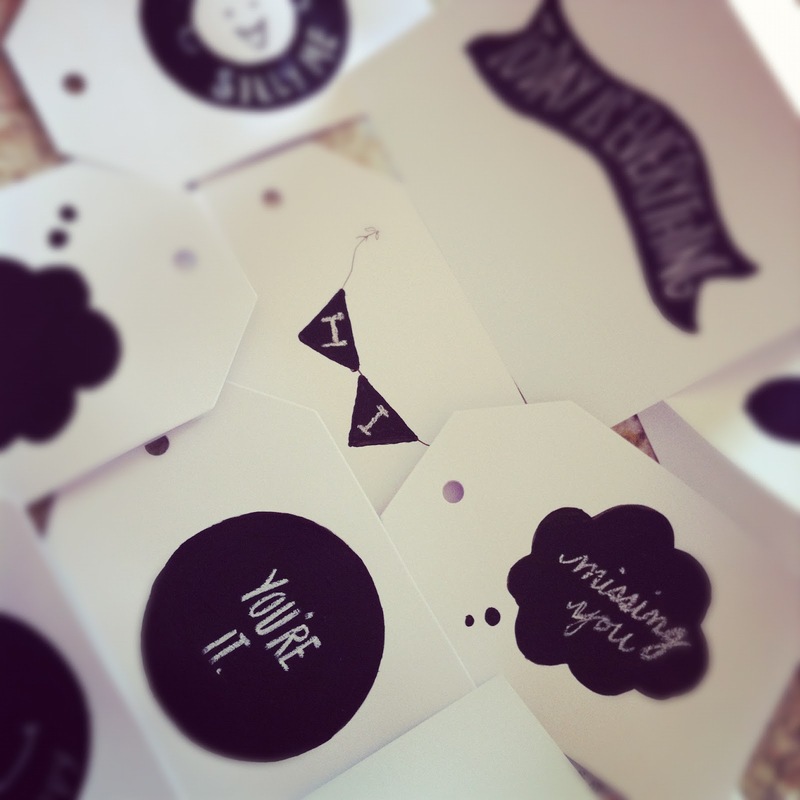 And if freehand painting stresses you out, grab some stencils for your chalkboard shapes! Thanks for stopping over. Hope your weekend is a bright one! PS. I made some extras that I'd love to give to you. Leave a happy comment below or follow me on Twitter (@parscaeli) if you'd like your own set of chalk notes.